Freida Mock is a Santa Monica-based Academy and Emmy Award - winning filmmaker - a director, writer and producer of feature length and short form theatrical documentary films. These include the Oscar winner Maya Lin: A Strong Vision, a feature film about the designer of the Vietnam Veterans Memorial in Washington, D.C. Her four other Oscar nominated films include: Rose Kennedy, a Life to Remember; SING! about one of the best children’s choruses in the US; Never Give UP, about the holocaust survivor and conductor Dr. Herbert Zipper; and To Live or Let Die, a story about medical ethics. 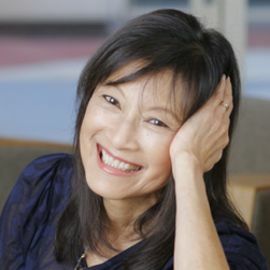 She has received numerous best director festival awards including the Director’s Guild of America nomination for best director for Maya Lin. Freida is completing “Who Is Notorious RBG?” this fall to coincide with Justice Ruth Bader Ginsburg’s 25th anniversary year on the Supreme Court; in production on Sing Iceland!, part of the Sing! Series; and the series, “Stores from the ‘Hood,” based G-DOG. Freida’s latst feature documentary movie ANITA – Speaking Truth to Power, about the life and times of Anita Hill, was released to critical acclaim by Samuel Goldwyn Films after its Sundance Festival premiere. ANITA inspired the HBO movie CONFIRMATION and starred Kerry Washington as Anita Hill. Her other recent feature documentary movie is award-winning G – DOG, a story about second chances and the charismatic Jesuit Greg Boyle who, believing that “Nothing Stops a Bullet Like a Job,” launched the most successful gang intervention and rehabilitation program in the world, Homeboy Industries in Los Angeles. Both G-DOG and ANITA were selected by the U.S. State Department for its American Film Showcase diplomacy initiative to be shown in U.S. embassies around the world with director Mock appearing as a citizen envoy in Indonesia, India and South Korea. She finished directing, writing and producing The Heroes Project/ Seven Summits, a theatrical feature documentary film about 7 young veterans, single and double amputees, climbing the tallest mountains on every continent including Kilimanjaro and Everest. Amputee vet Charlie Linville and the team summited Everest on their 3rd attempt, a first for a team of amputee vets to climb the 7 Summits. 2018 release date. Freida’s films center on stories with a strong character-driven dramatic arc set against a back drop of history, politics, art, and creativity and include: Return With Honor, the story of American fighter pilots surviving as POWs in Hanoi, a presentation of Tom Hanks and Playtone; Wrestling With Angels: Playwright Tony Kushner, the feature documentary Sing China! filmed in China during the Beijing Olympics and featuring the world-renowned LA Children’s Chorus; and Lt. Watada, short-listed for the Oscars, about the first military officer to refuse to deploy to Iraq and to speak out about the war’s illegality. Freida has received grants from the NEA, NEH, Women In Film, CPB, the Robeson Fund, and many family foundations in support of her projects. She has been a guest speaker at Stanford, Amherst, USC, Ohio State University, UCLA, Spelman College, and other colleges. Freida was the first Governor elected to the new Documentary Branch of the Academy of Motion Pictures Arts and Sciences and served as Chair 6 years and Co-chair of the DGA Documentary Awards selection Committee. She graduated from UC Berkeley in history and English and did graduate work in history and law. She is a member of the DGA, the Academy of Motion Pictures Arts and Sciences, the IDA, others. She is a partner in the Los Angeles - based Sanders & Mock Productions and co-founder of the nonprofit American Film Foundation that specializes in producing films on the arts, sciences and the humanities. Screenwriter, Known for "Bumblebee" & "Birds of Prey"
Director, Producer & Screenwriter; Known for "The Wood"